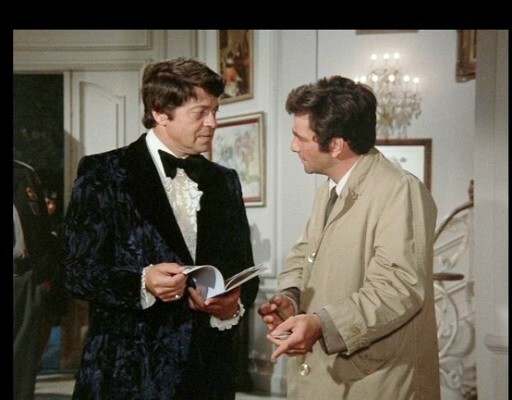 INNER TOOB: MISSING LINKS WISH-CRAFT: "THE THIN MAN" & "COLUMBO"
MISSING LINKS WISH-CRAFT: "THE THIN MAN" & "COLUMBO"
Nick and Nora Charles were visiting the Vandrey Modern Art Museum when they learned that a collection of valuable coins had been stolen from the museum’s safe. Businessman August Vandrey, who financed the museum, described one of the stolen coins as a "Prince John Tuppence" (two pence), supposedly "a commemorative struck off in the year 1215 for the signing of the Magna Carta". I think that by the 1960s, the Vandrey Modern Art Museum expanded their scope and exhibited the old classics as well in limited exhibitions. 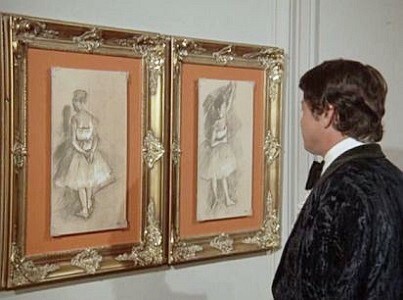 Including Degas pastels…. I'm an art critic. You're the detective. And I'm gonna need a lot of your help. I suppose you noticed that already. and there doesn't seem to be anything around that fits inside. Now, Mr. Evans wasn't quite sure either. He thought that one of 'em had some dancing girls. But I don't think he knows much about art either. He also said that a lot of these things had just been rehung. That they'd just come back from some kind of a traveling exhibit? Yes, that's what those crates are out in the hall there. So it was a traveling exhibit…. Why couldn’t it have gone to the Vandrey Modern Art Museum for a limited exhibition? I can’t see anything which might invalidate such a supposition…. WIKI TIKI WEDNESDAY - RAMP IT UP! VIDEO SUNDAY - "THE CLOWN"